Music lovers, make a date with our orchestra as it pays tribute to some of the most well-known and well-loved musicals that have entertained audiences around the world time and again. 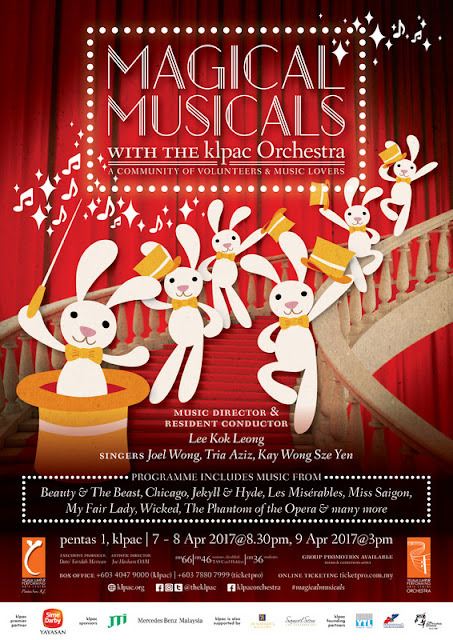 The three-day only Magical Musicals from 7 to 9 April promises to be a smashing season opener for the klpac Orchestra under the baton of Lee Kok Leong. The trio comprising multi-award winning singer and entertainer Tria Aziz, the charming tenor-baritone Joel Wong and trumpet virtuoso Kay Wong Sze Yen will be belting out iconic tunes from Les Miserables, Phantom of the Opera, Chicago, Miss Saigon and even Evita! There will also be some family-friendly numbers from Beauty and the Beast, highlights from the musical phenomenon Wicked along with a few other surprises. Always a delight to watch on stage, Tria Aziz is no stranger in the musical scene having performed since she was 12 and appeared in over 20 productions. After winning ntv7’s Audition reality TV show, she went on to bag Best Actress in SHORT+SWEET Musical 2013 and Best Musical Performer at the BOH Cameronian Arts Awards 2014. Her vocal prowess and captivating stage persona makes her a crowd favourite. Magical Musicals also welcomes back on stage Joel Wong who teamed up with Tria in the 2016 Sudirman tribute One Thousand Million Smiles. When he is not performing with the Young KL Singers, he is a regular feature in musical productions such as Kaki Blue (2009), Songs For A New World (2012 & 2013), Marrying Me (2013), Merrily We Roll Along (2014), Larger Than Life (2014), Cabaret (2015), The Best Of Sondheim “Abridged” (2015) and "Into the Woods" (2016). He is also the man behind the lovely graphics created for The Actors Studio and The Kuala Lumpur Performing Arts Centre (klpac). Kay Wong completes the exciting line up for the concert. One of the top 40 contestants for “Astro Star Quest”, Kay normally plays the trumpet with the klpac Orchestra, klpac Symphonic Band, Selangor Symphony Orchestra and Philharmonic Winds of Malaysia. But many may not know that she in fact minored in vocal performance when she was pursuing her Bachelor of Arts in Music at the Middlesex University in London. She recently performed with her trumpet ensemble T.T Ensemble in Taiwan. 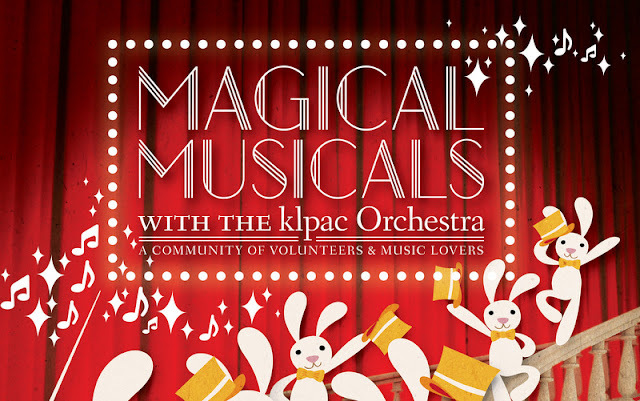 Magical Musicals will hit klpac on April 7 and will run until April 9. To purchase tickets, call 03 4047 9000 or head over to www.ticketpro.com.my.